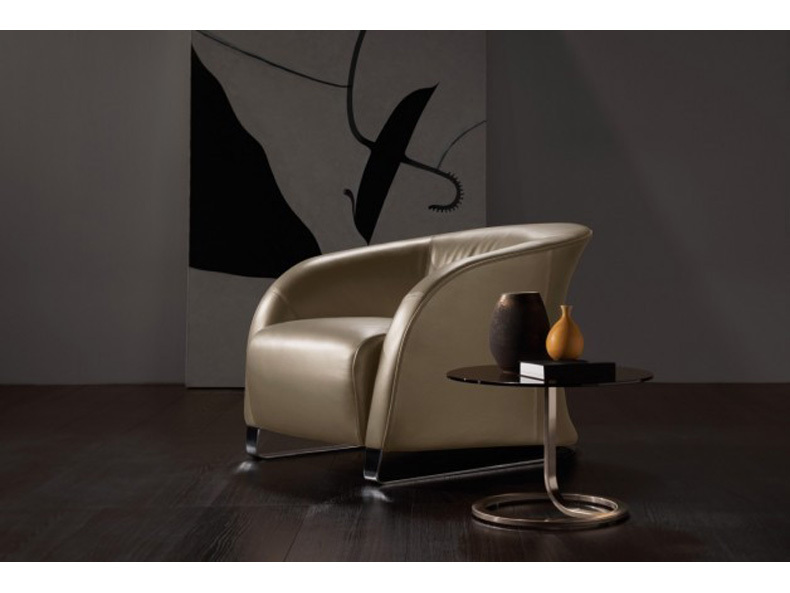 An armchair with a modern allure. One of Liz's most distinctive features is its slinky shape, gently sloping armrest and raffish design of its metal foot. 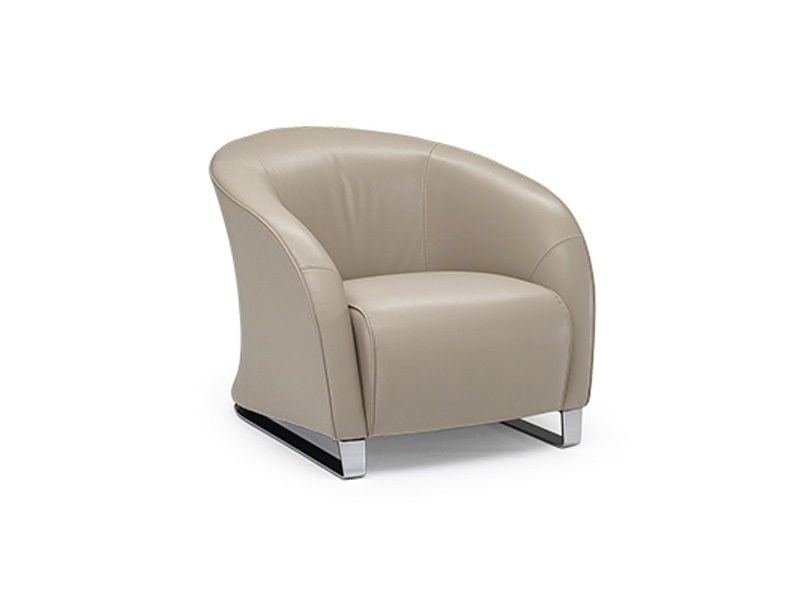 High comfort levels are ensured by its snug back and the seat cushion which protrudes slightly past the front armrest. 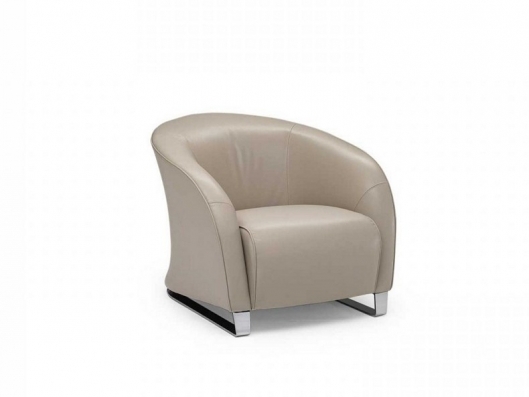 It is the kind of armchair that will blend into any kind of surroundings. Material: Also available in leather and fabric mixture.